Can I Hire a Collection Agency? If a customer owes your business money then looking for possible ways to recover that money is the first step in the process. Collecting money from a past due customer may seem like an impossible proposition. Who do I hire? How can I hire a collection agency? The questions are endless. The most common ask question though is, can I hire a collection agency? Any business who is owed money from a customer can hire a collection agency. Actually, it is a smart business strategy to have. Collection agencies can assist in collecting on past due accounts no matter the size, age, or what type of business you have. How can I hire a collection agency? A business can hire a collection quite easily. After contacting a collection agency and entering a contract, a business will send over all the past due accounts for collections. The collection agency will perform recovery tactics such as skip tracking, phone calls, and send payment demand letters. Once a business has decided to hire a collection agency, they often wonder what costs are associated with hiring a collection agency. Most collection agencies will work on a contingency rate. This means, the collection agency only gets paid contingent on the ability to collect the money. Essentially, it means they keep a percentage of whatever is collected. If no money is collected, then no money is owed. Where can I hire a collection agency? Sometimes, it can seem impossible to find the right collection agency. Each state has different laws and regulations. Plus, many collection agencies only specialize in certain industries. For example, a Moving Company may contact a collection agency who collects mostly medical debts. These types of dead ends can lead to frustration and many businesses giving up. When can I hire a collection agency? As a general rule, the earlier a business brings on a debt collection agency the better results it will see. 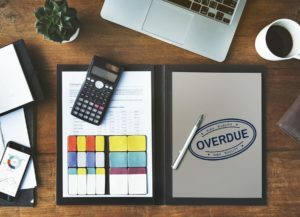 Often a small business may feel as if they have waited too long because it has been over a year since the debtor has paid anything. No matter how old the past due account is, a company can still hire a collection agency in an attempt to recover the money owed. As soon as a business recognizes a debtor is not paying, they should select a collection agency and move forward with the process. If your company has been contemplating, “can you hire a collection agency?” then we can assist!